Cooking gas is probably the most commonly used cooking fuel around the world. It is one of the safest methods of cooking. People can use it conveniently. It can be sent to remote places safely. Liquified petroleum gas (LPG) is the most common cooking gas people use. With free availability of the gas, people can get them whenever and wherever they want it. While on-demand apps are available for many of our requirements, apps for gas are still not very popular. But it is one of the best methods to book a gas cylinder. It is convenient for both the users and the gas vendors as it will avoid long telephone calls and misplaced records. In this article, we see how useful and beneficial the app is. How Does An App Help? Gas booking was traditionally made by calling up the gas vendor and asking for a refill. This was not always possible in one attempt as the phone lines could be engaged. There are also chances that phone lines are not working. Many people don’t like to make long phone calls. Another disadvantage with a phone call is that details could be entered wrongly. It is not necessary that everyone has the same accent. Sometimes the phone lines have disturbances. These calls are not always dependable. The vendor can make the booking in someone else’s name. With a mobile app, the booking is made easy. Once the customer personalizes the app, there is no need to give the details every time. A few clicks on the mobile will do the job. There is no way there could be a wrong entry as there are no papers or writing involved. With a mobile app, customers can make their request any time and from anywhere. They can be on the move or in their office. 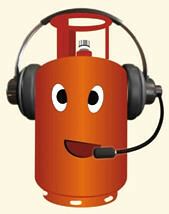 It takes just a few clicks to order the gas cylinder. Even if they are in the middle of a meeting, they can order their gas without disturbing others with loud calls and repeating details. In many countries, gas distributors send their vehicles to residential areas to find customers who require gas. There are no restrictions about which vendor users have to buy gas. In these countries, the app will be a big use for both vendors and consumers. The vendors need not send their vehicles without knowing where there is a requirement. The customers also can get the gas in time instead of waiting for the gas vehicles to reach their area. The supply of gas is smooth and orderly. Gas is a commodity that we need to get immediately. If you are in the middle of cooking, you cannot wait for hours or days to get your gas replenished. With an app, you can select the vendor who will send the gas immediately. With the help of the app, customers can select a distributor who will give them better service. The gas vendors will also benefit from getting the orders in advance and planning their vehicle routes. For a Mobile App Development in India, this is a new avenue to use their skills to earn revenue. The gas vendors themselves can use the apps. It can also be an independent app that has all the gas vendors on board. This will give a broader reach, and more users will be using the app. A mobile app helps to place the order for gas very conveniently. There is no need to make long phones calls. There is no room for error in passing on details. This can happen during phone calls. Mobile apps can be personalized. There is no need to give customer details every time. The app will allow customers to schedule their gas delivery. Vendors can plan their vehicle delivery routes in a better fashion without wasting time and fuel. Customers can have a choice of different vendors. Customers will get the gas within a short time as there are multiple vendors. Building an app for each commodity is a challenge. Every commodity and the way vendors sell them differ from each other. The app developer must consider this when the app is built for the cooking gas. The product is likely to face price changes and shortages. This must be taken into consideration when making the bill. Let us see the different pages and features the app must have. App developers should fully understand the requirements and then start creating the app. There must be a page for each of the entities – the app owner/admin, the customer, the vendor, and the driver or delivery person. As the controller of the app, the web owner will be responsible for the web service. For a Uber-like gas delivery app, this is essential. You will be in control of vendors, delivery vehicles and customers. You will be responsible for registering and monitoring the vendors. You must know how each vendor does the business. You can understand from the web portal how much gas each of the vendors has sold. This will help you charge accordingly. You will receive the request for registration by the customers. You can check the details and approve the application. The web portal will help you monitor the number of gas cylinders consumed by each customer. You can stop the service to any customer. You can track the individual drivers who are delivering the gas. Other than the vendors’ vehicles, you can have individual vehicles registered in the app to deliver gas. This will mean that your customers need not always depend on the vendors to get their gas. You can track the movements of these individual drivers. The app helps you to know the time taken for them to deliver with this feature. Their efficiency will reflect on your app. The web portal will help you see the number of deliveries made and calculate the payment for the drivers. The web portal can help you monitor the payments made by different customers to the vendors. This can assist in calculating your commission. If there are any payments pending this can also be noted. You will be able to settle any issues regarding payment. You can also set cancellation charges if a customer or vendor cancels an order. This will improve the credibility of your app. It will prevent misuse of the app. The cancellation charges should be mentioned in the app very clearly. The priority for delivering a particular order will be given to the driver who responds to the request from customers first. The one who is nearest to the gas distributor and customer will naturally get the preference. GPS can help the drivers know the locations. The dashboard should be made in such a way as to give you complete information. In one page you should be able to see all the relevant information. Looking at the dashboard, you should be able to know the number of orders and how they are being handled. You should be able to get reports on all the activities. You should know the deliveries made, payments given and your earnings for the period. These pieces of information will help you to take the business to better heights. As an admin, you will be responsible for registering and monitoring the vendors. You can see the details of the number of cylinders delivered by each vendor. You will register the customer with full details using the web portal. You can use your discretion to block any customer at any time. You can track the movements of the delivery people. The details of the materials delivered and their value will be visible in the web portal. This will help you make the payment. The admin dashboard will help you get an overview of all activities. You can use analytics to improve your business. You can be either the admin or the vendor. Vendors with multiple gas outlets can use this app to give better customer service. You should use the best mobile application development company India has, to get the mobile app developed. This will ensure that each page of the app serves the purpose correctly. The delivery person’s panel is meant for those independent delivery people who get themselves registered with you. The delivery person can see the order information on his panel. All information regarding the materials to be delivered, the customer address and the amount to be collected will be displayed. It will also inform the rider about the mode of payment. With this information, the rider can collect the gas cylinder and deliver to the customer. 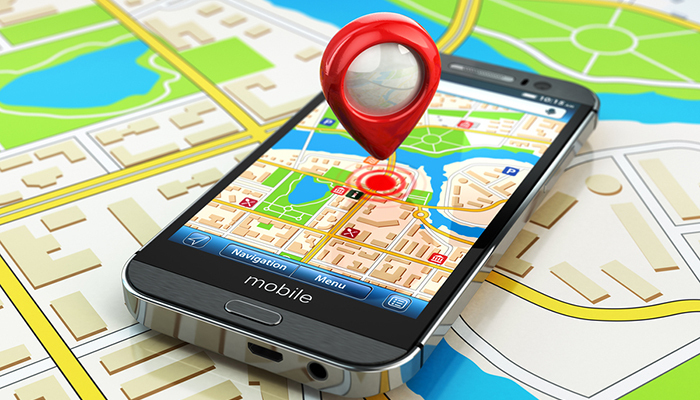 The app is equipped with a GPS which enables the delivery person to find the customer address easily. It will also tell the person how much time it will take for the delivery to be completed. He can then pass on this information to the customer. Your panel will also show this information. The rider can also find the shortest route to the customer’s place using the map. This feature will inform him of any traffic or other obstacles on the way. All top mobile app development companies in India can get this feature included in the app. The in-app calling feature can help the delivery person call the customer. He can get the correct direction if there is any need for clarification. The customer can also get information that the gas is on the way. Once the rider has collected the cylinder from the gas vendor, he is on the meter. The admin is also informed about the start of the trip so that the exact amount to be paid as per distance can be calculated. Trip details are updated in admin panel to calculate payment for delivery. It is essential to have all the features that will make the app user-friendly. Your customer must get the best user experience when he or she uses the app. Your revenue will depend on the customer using the app continuously. Ensure that the user interface is very appealing and easy to navigate. Make the registration process as simple as possible. Integrate the app with social media sites. Today most people like to register using their social media account as all the details are already available there. They don’t have to feed anything. As soon as the delivery person as accepted the request, the customer will get details about the delivery. If there is any clarification needed the customers can call the delivery person. The customer should get as many options as possible for payment. The app should allow them to pay using credit cards, debit cards, net banking, mobile wallets or cash on delivery. As soon as the rider collects the gas cylinder the customer will get the invoice through the app. He or she can be ready with the payment when the rider comes with the gas. This will also avoid unwanted paperwork. Once the customer has placed the order live tracking is possible. At every stage, the customer can get information about the status of the order. Map feature will also allow the customer to know exactly where the driver is. Read also: Is Making An On-Demand Electrician App a Good Idea? The customers get the freedom of either choosing an instant delivery or planning it for later. With this feature, the customers need not wait at home and wait for the gas to arrive. They can schedule the delivery for a time when they are at home. Using the app, it is possible to check the availability of gas with different vendors. This gives the customer the freedom to decide where he or she should buy the gas. There are multiple payment options including COD. Live tracking of order allows the customer to know when gas will arrive. They can choose when they want the delivery. Customers can choose between many vendors. The cost of building the app will depend on where you create the app. There are fundamentally three parts. The web portal, the rider app, and the customer app. You should launch the rider and customer app with the minimum features at first. You can add features as the business progresses. But you should have the best UI/UX design to attract the customers first. You should get people to download first. The navigation should also be smooth if you need customers to keep using the app. You can also introduce an initial offer for people who download the app. You can offer the first delivery free of charge. If you are the vendor, you can provide some accessory at a discounted price. You should also look at rewarding your customers for referrals. The success of your app depends on how many people use it. It is better to know the mobile platform that more of your customers use. Based on this you can launch the app in one platform first. You can move to the other platforms once you have established the app and started earning good revenue. There cannot be any compromise on the features of the web portal. As an admin, you will require all the features to run the business smoothly. Without the features, you will not be giving the best service to your customers. It is better to get a developing team which can develop the app fast. If you look at only cost and get the app developed slowly, someone else can launch the app before you. Speed is critical when it comes to launchings such apps. Getting an on-demand gas delivery app in the lines of Uber can be beneficial in countries where there are no restrictions on the supply of gas. Customers get a chance to choose their vendors and gas brands. The app can be a good revenue source for the app owner and for this to be successful, Finding App Developers is vital. Vendors with many outlets can also get the app created by any of the excellent app development companies. This will help them to run their business smoothly. 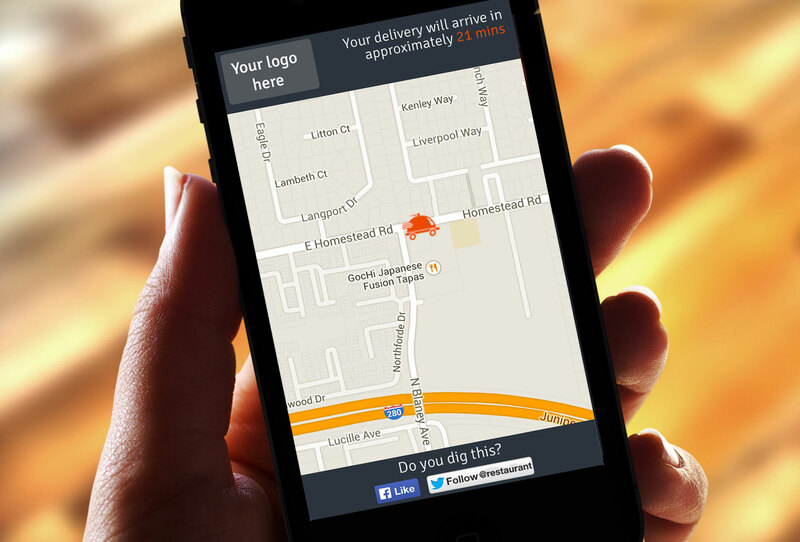 The app will help them to plan their deliveries and save time and money.